HomePosts Tagged "Mark Wayne Adams"
Congratulations to Bobbie Hinman and Mark Wayne Adams for your Gold Medal win in the Mom’s Choice Awards! We love your book The Belly Button Fairy, along with The Knot Fairy and The Sock Fairy (both illustrated by Kristi Bridgeman). We look forward to your next offering. 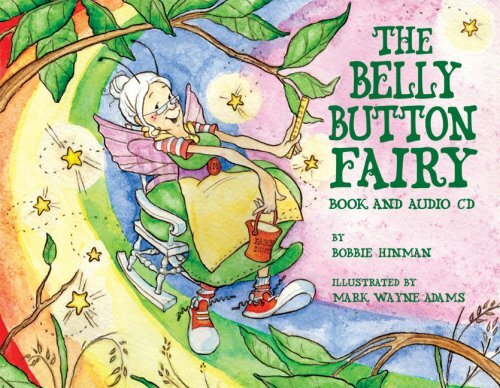 Using enchanting rhyme, Bobbie Hinman has created an imaginative and whimsical take on how belly buttons end up in the middle of our tummies. The illustrations are bright and delightful! A sweet book that is perfect for a calming story time. The lovely story reading and music on the CD—included with the book—just add to the appeal.